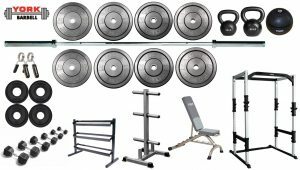 Building your own gym and not sure where to start? 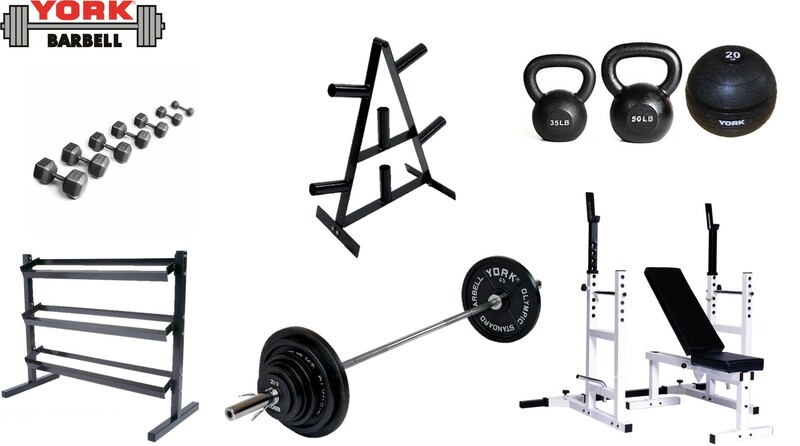 Don’t worry, because York Barbell has your back! 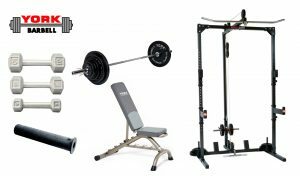 York offers a variety of equipment packages to outfit your workout space. 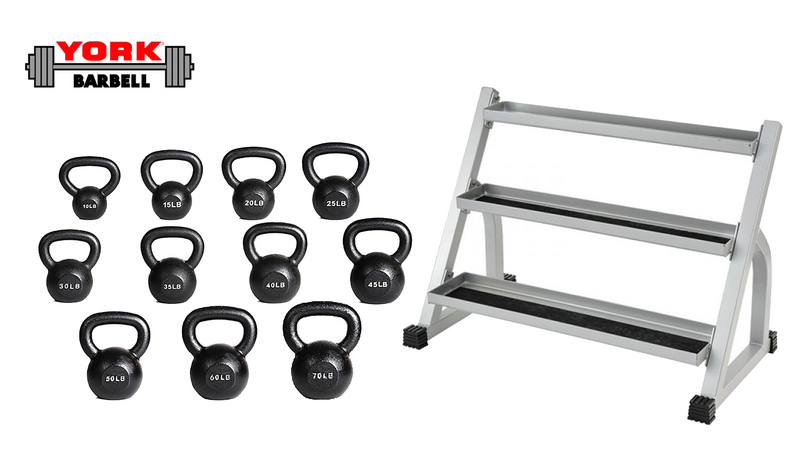 Whether you are setting up a home gym or just looking for something new to add to your Crossfit facility, York equipment packages are an easy way to outfit your space quickly. 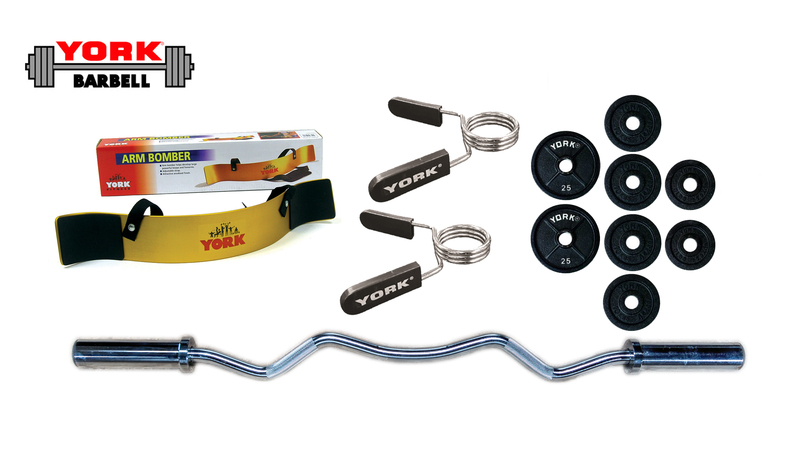 York packages contain the same tried-and-true York products that the world has come to know and love. 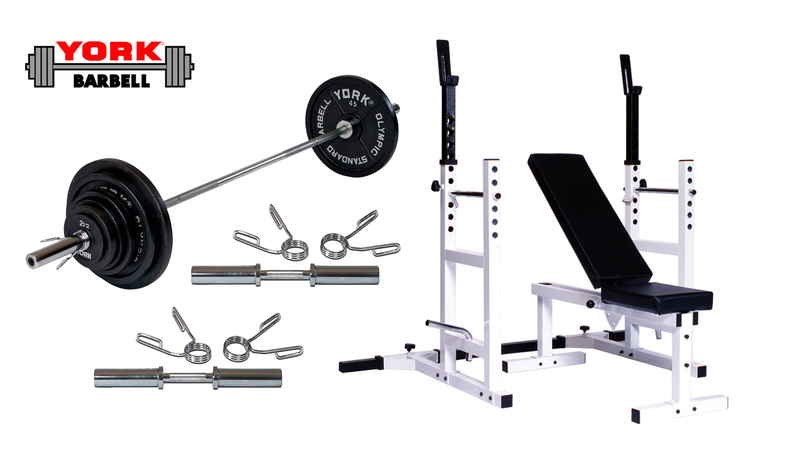 Each set has been tailored to maximize your workout experience, while saving you time and money. 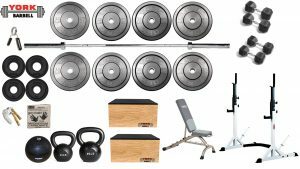 Once reserved for storage and vehicles, your garage will become your new favorite spot for “you time” thanks to the Garage Starter Packages which are available for both men and women. 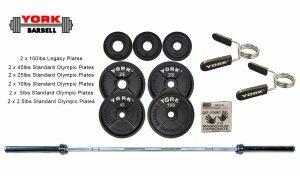 These packages contain everything you need, including one of York’s Olympic needle bearing bars and a whopping 245 lbs of plates! 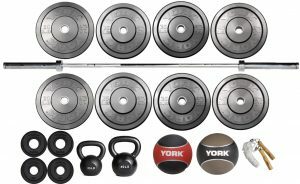 York has thought of everything, even including chalk in these packages! 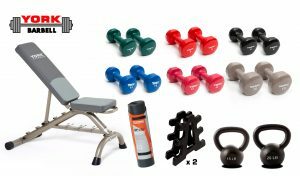 The Bronze, Silver, Gold and Omega packages ensure that there is a set for every budget! 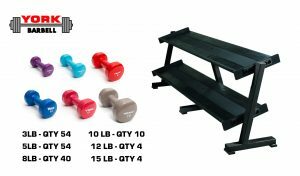 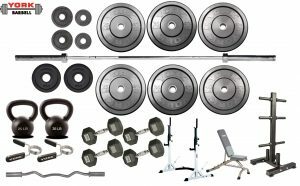 Each of these sets includes a bench to help you get the most out of your weight plates and dumbbells, and the Bronze, Silver and Gold equipment packages even include storage racks to keep them up off of the floor when not in use. 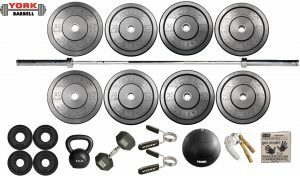 The Intro to Weightlifting packages start you off right with a 300 lb set and two Olympic dumbbell handles. 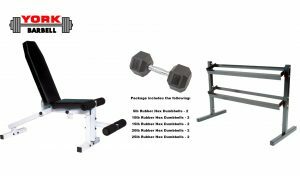 The Upgraded package also includes an adjustable bench and squat rack for a professional club feel in the comfort of your own home. 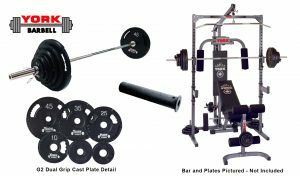 And the Powerlifting Intro Package is no joke, with its two 100 lb Legacy plates to seriously put some weight on that Power bar! 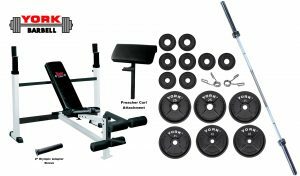 Check out the York equipment packages today to find the set that fits you perfectly and attain your fitness goals with York! 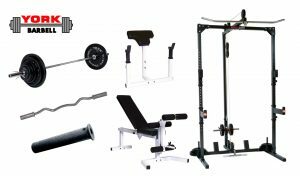 If you have any questions about our gym equipment packages, please contact us today! 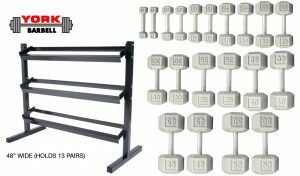 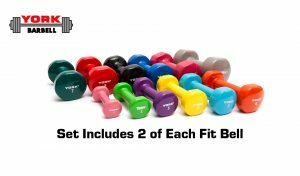 View cart “5-50lb Cast Iron Hex Dumbbells With Deluxe 3 Tier Rack” has been added to your cart.